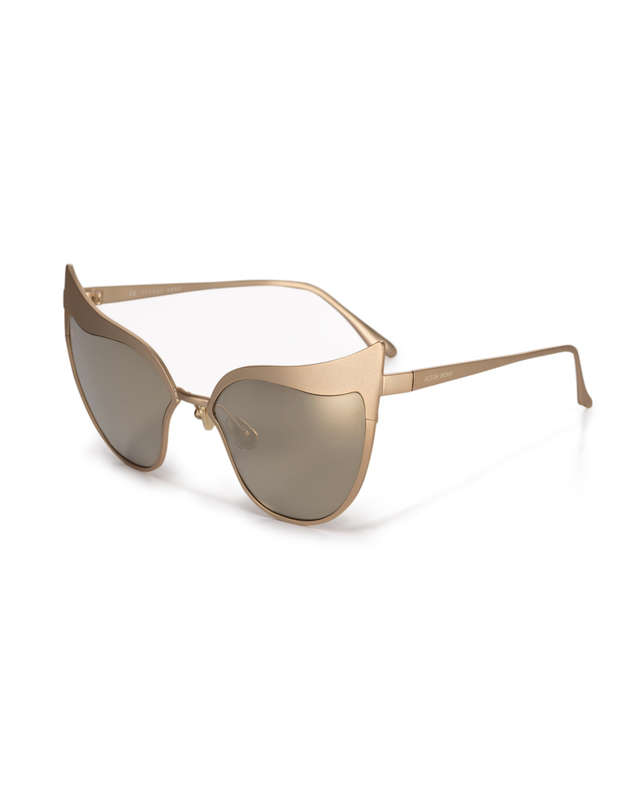 Royal Gold sunglasses. Front Width: 132mm. Lens Width: 56mm. Material: Metal/Titanium nose pad. 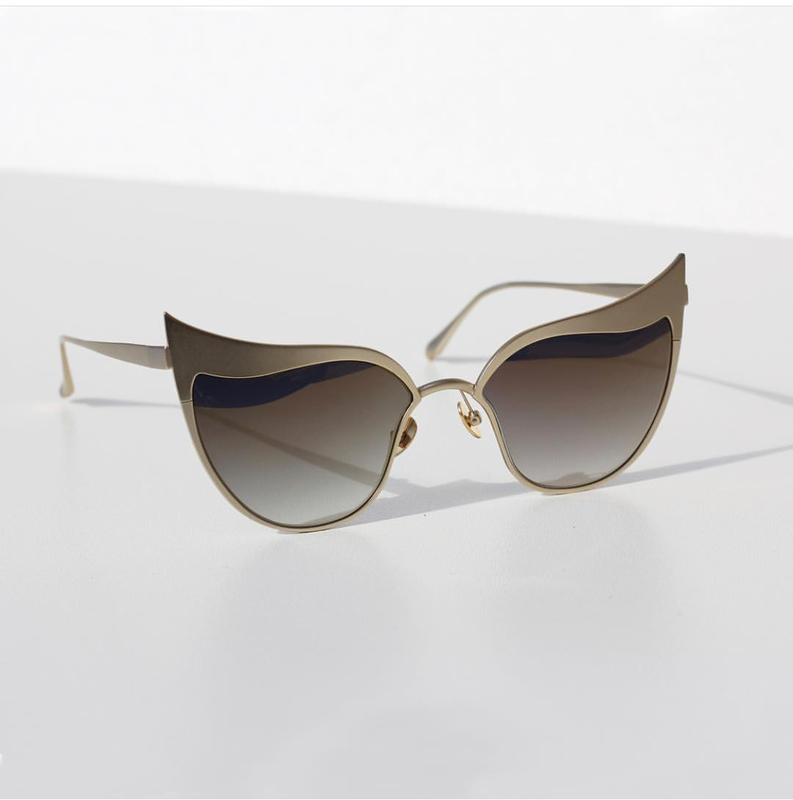 Timeless, statement cat-eye sunglasses created from premium metal and titanium.